68% rank Technical skill and Educational background as very important when choosing a stylist. ARE YOU A GRADUATE OF THE REDKEN SPECIALIST PROGRAM AND LOOKING FOR THE NEXT STEP IN YOUR CAREER AS A STYLIST? Are you ready to choose the discipline that you’re most passionate about and become a true master in haircolor? Your next step is to become a Redken Haircolor Authority! AUTHORITY: A person with extensive or specialized knowledge about a subject: an expert. Redken Haircolor Authorities share an enthusiasm and energy – the unique Redken “spirit”! The Redken Specialist program is a pre-requisite to the Redken Haircolor Authority program. Tuition payments are non-refundable. Points are required to be redeemed in full at the time of registration or can be paid with half points and half credit card. I have been using Redken products for 5 years, do I have to attend the Redken Specialist program first? 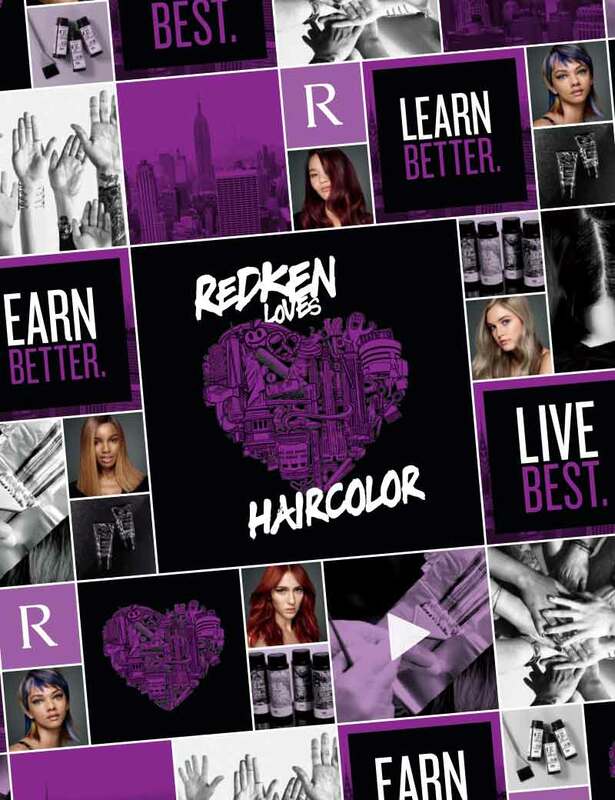 The Redken Haircolor Authority program focuses on the knowledge of haircolor and the skills of Principles of Placement, focusing on the usage of the complete Redken Haircolor Portfolio. The Redken Haircolor Authority program agenda does not allow for product knowledge training. Therefore, the attendance of Redken Specialists is a pre-requisite to ensure familiarity with the brand Haircolor product portfolio. I attended the Redken Specialist program 8 years ago, do I need to go again before I can attend Redken Haircolor Authority? Because we offer the latest in innovation in our Redken Haircolor portfolio, we have the ability to launch to market many new products. To ensue you are versed on the latest product launches, it would be beneficial to attend. With that said, if you are a stylist in an Elite salon and actively update, then you should be able to integrate with no worries. Do I need to attend Redken Haircolor Authority before I take Redken Haircolor Certification? Yes. The Redken Haircolor Authority program provides you with the tools for success in passing your Redken Haircolor Certification exam. Do I need to attend all 4 days to become a Redken Haircolor Authority? Yes. You must attend all 4 days at the location you register for. Your program tuition covers all 4 days. To ensure you receive your graduation certificate, you will need to attend all 4 days. Should there be any reason you cannot, please speak to the program facilitator. Can I transfer into another location/date for the last 2 days? You must attend all 4 days at your registered location. You cannot transfer into another Redken Haircolor Authority program if you already attended one of the days.